We'll help you save on Chieftain Insurance! Getting home and auto insurance doesn’t have to be difficult, especially if you are looking for simple personal insurance solutions in Ontario. At ThinkInsure, our brokers can help you find simple insurance solutions with Chieftain Insurance. They offer car, home, and tenant insurance solutions for Ontario residents. We can help you compare personal insurance quotes from Chieftain and get the coverage you need at affordable insurance rates. Established in 1999, Chieftain is a product of The Dominion Of Canada General Insurance Company and falls under the Travelers Insurance company umbrella. Specializing in personal insurance products, they offer straightforward, simple and affordable home and auto insurance solutions to Ontario residents, allowing them to have an all-in-one personal insurance coverage solution. 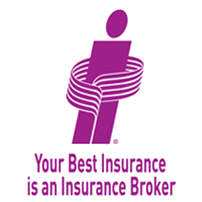 The company offers independent home and auto insurance products and services through its distribution network in Ontario, which includes ThinkInsure brokers. Simple Home and Auto Coverage : Chieftain believes that home and auto insurance coverage shouldn’t be complicated. They offer simple and affordable solutions for Ontario drivers and homeowners. Continuous Coverage : Chieftain guarantees your insurance policy will not expire unless you decide to cancel it. You will never be automatically cancelled if you forget to renew. Exclusive to Ontario : When getting home or auto insurance coverage with Chieftain, you will have peace of mind in knowing your insurance policy was designed specifically for Ontario residents. Insurance Premiums Are Rated Monthly : Chieftain insurance premiums are updated monthly and are based on the most current information. This can lead to immediate savings from month to month. ThinkInsure can help you with all your Chieftain personal insurance coverage needs. Compare quotes for car, home, condo, or tenant insurance today. Call us anytime 1-855-550-5515!